How to move a domain to different group. Click on the 3 dots and select "Edit" on the domain that you want to change groups for. Find and change the group and click save. 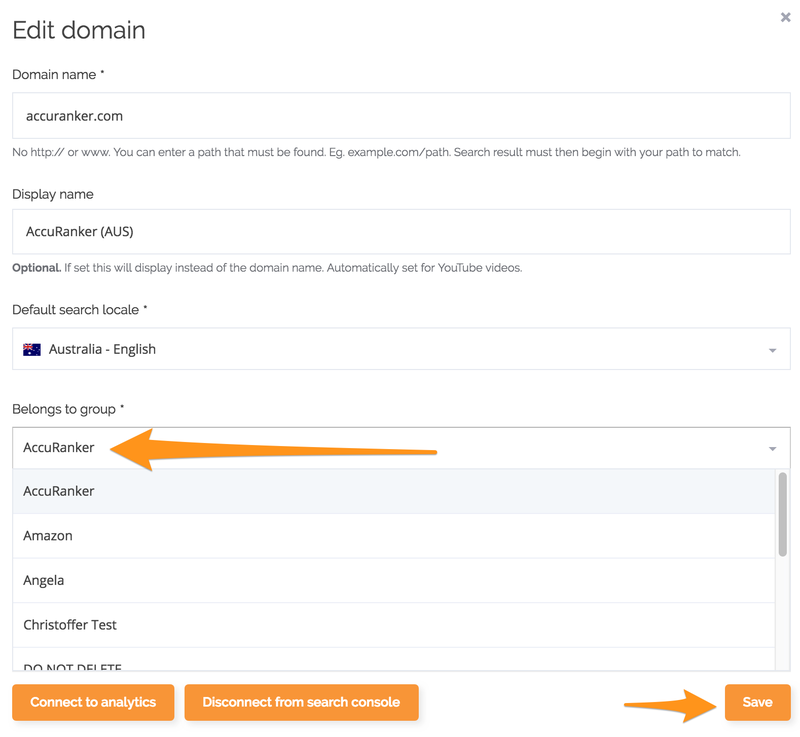 Read more on how to include subdomains.